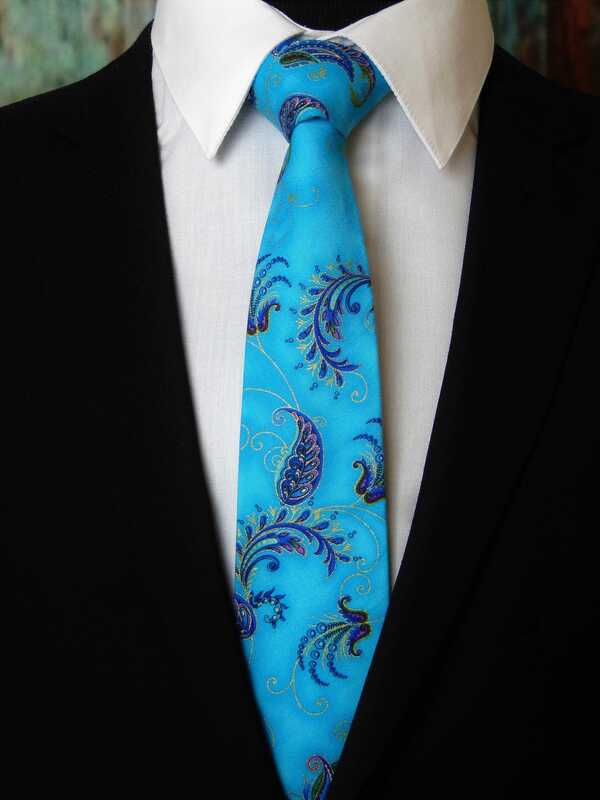 Blue Floral Tie – Blue Floral Tie for Men also Available as a Skinny Tie and Makes a Great Wedding Necktie. 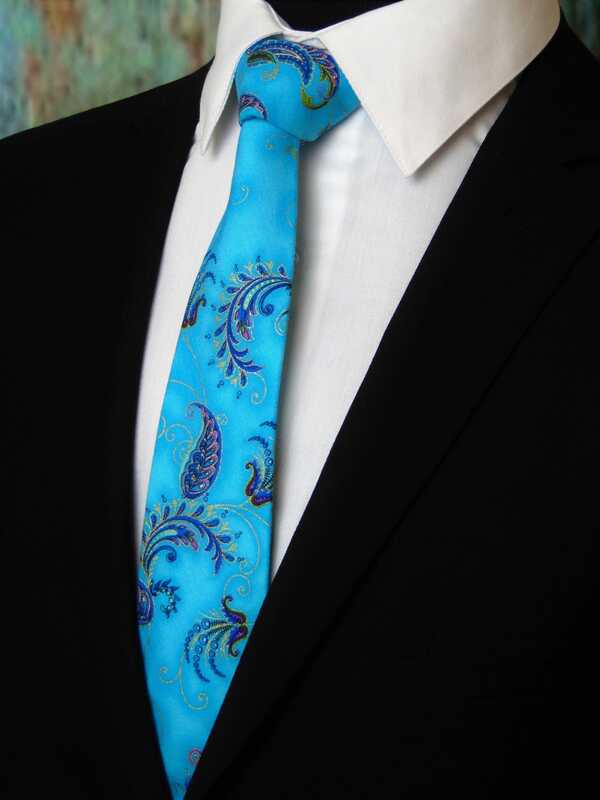 Beautiful floral print necktie for weddings or everyday. 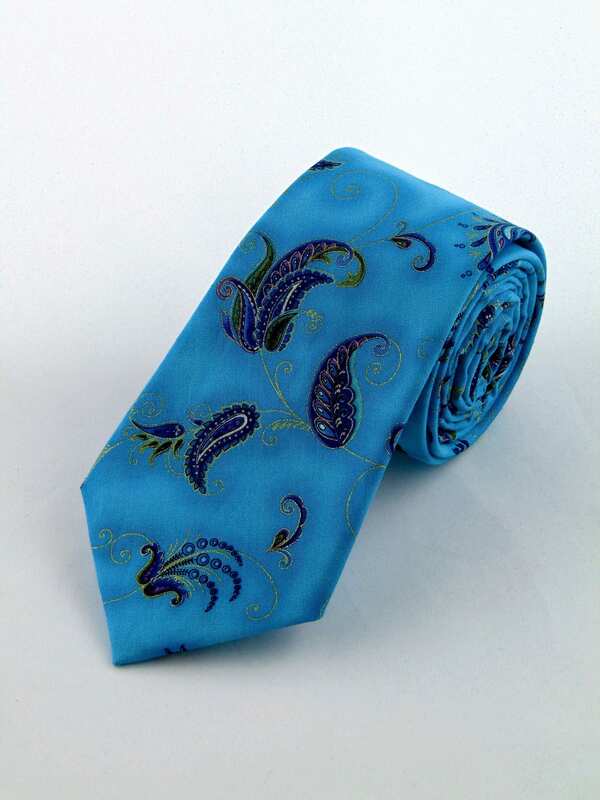 Colors include: Blue Background with Gold, Purple and Green. Shipped quickly. Like custom length.